Connaissez-vous Vortex, le très énergique spectacle de l'école ? Après avoir été acclamé lors de l'ouverture du Festival Danxica 2014 au Mexique, il a été admiré et ovationné partout où il est passé. Notre incroyable équipe de choc nous en a donné encore un exemple lors de la représentation donnée lors de notre Hymne au printemps 2015. Nos étoiles ce sont encore dépassées avec cette chorégraphie créée par Christiane Bélanger, accompagnée d'un fonds de scène coordonné et mis en image par Yves Simon. Un spectacle à ne pas manquer, qui vous subjuguera par sa puissance, une trame musicale envoutante et des images percutantes. Vortex, un ballet qui touche à l'environnement... mais aussi... votre coeur ! C'est début juillet que nous sommes allés avec quelques-uns de nos élèves, des champions et championnes qui ont vécu un rêve dans un environnement totalement magique. Nous étions la première école de ballet à participer à l'événement Disney Dance the World et nous en sommes encore très fiers. Nous y avons participé lors d'un premier spectacle au Hollywood Studio, un spectacle InHouse, un party privé avec Mickey et tous ses amis et avons pu faire la Parade à travers Main Street avec des centaines d'autres participants. Fantastique ! Nous y retournerons très certainement l'année prochaine. C'est à Nanterre près de Paris, que se déroulera à l'école de ballet de l'Opéra de Paris les demi-finales européennes du YAGP. Le YAGP présente ici de belles histoires inspirantes des précédents gagnants de cette demi-finale. We are excited to welcome you to YAGP's seventeenth season! Registration is now open for the European Semi-Final, which is once again taking place at the Paris Opera Ballet School in Nanterre, on the outskirts of Paris. 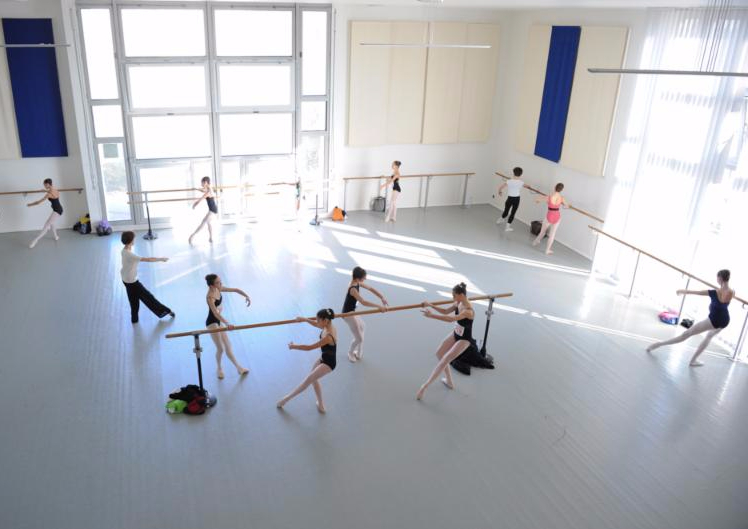 YAGP is proud to be the first outside organization to which Paris Opera Ballet School opened its doors in its 300-year history! Joining the YAGP team for the first time in Paris will be the legendary Vaganova Academy of Ballet, represented by its Director, Nikolai Tsiskaridze. Below, we are happy to share with you the inspiring stories of some of our past European Semi-Final winners, and where they are now. We look forward to the upcoming season and we invite you to join us on our journey, as we work to ensure the next generation of dance. 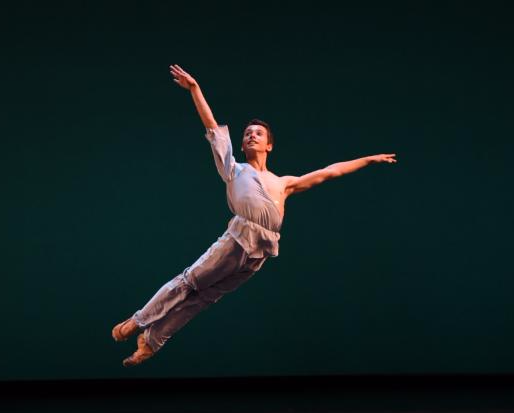 After receiving 1st place at the YAGP 2015 European Semi-Final at 16, Diogo de Oliveira was noticed by the Paris Opera Ballet School and that lead to him receiving a scholarship to continue his education there, starting this September. 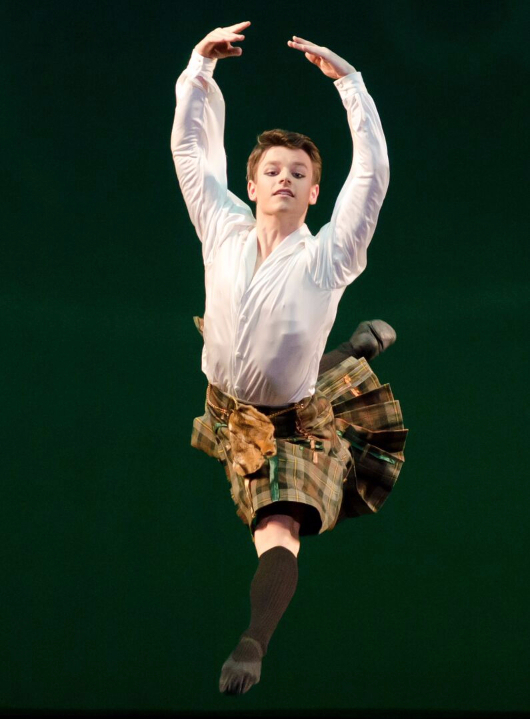 A YAGP participant since the age of 11, following in the footsteps of his two sisters, 17-year old Julian MacKay placed third in the YAGP 2015 European Semi-Finals, and became one of the winners at Prix de Lausanne shortly thereafter. Having just graduated from the Bolshoi Ballet Academy, MacKay is joining The Royal Ballet this August. Cuban-born Corrales made quite a splash in 2014, after receiving the YAGP 2014 European Semi-Final Grand Prix and the 2014 New York Final Grand Prix at 17 years old. An audience favorite, Corrales received multiple scholarship and contract offers, and he is currently dancing at the English National Ballet. 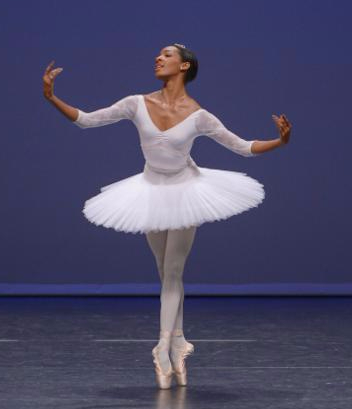 Originally from Michigan, Precious Adams received the Silver Medal at the 2014 European Semi-Final, and took two prizes at the Prix de Lausanne that same year. She is currently dancing with the English National Ballet. 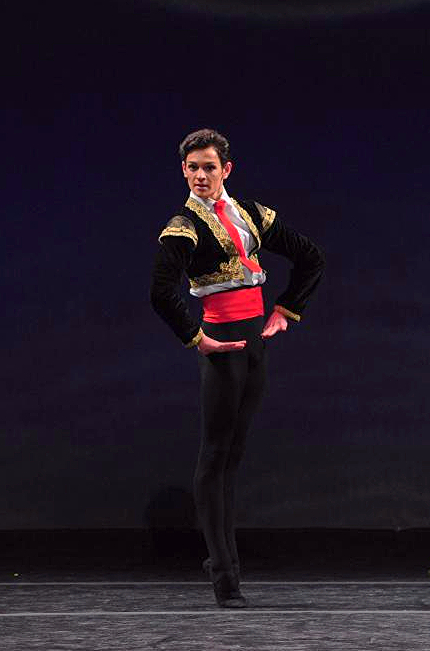 Miguel Pinheiro earned a Gold Medal at the YAGP 2014 European Semi-Finals, being just 15 years old, then went on to become a winner at the 2015 Prix de Lausanne. He recently joined the Nederlands Dans Theatre II. Katherine received the Grand Prix at the YAGP 2013 European Semi-Finals, and has gone on to win the NYC Final that same year, along with the Moscow International Ballet Competition, and several others. She is currently dancing with the Paris Opera Ballet. Scout participated and won several YAGP Semi-Finals, before earning 1st place at the YAGP 2013 European Semi-Finals. She also participated in the 2013 IBC Moscow Competition. Forsythe received an offer to join the ABT Studio Company in 2013 and is currently a corps dancer with ABT. Jonathan Klein was 17 when he took the 1st prize at the YAGP 2012 European Semi-Finals, going on to place in the top 5 at the New York Finals. Afterwards, he received an unprecedented, immediate contract to join ABT main company, where he currently performs. YAGP 2012 European Semi-Final Grand Prix winner at 17, Joy Womack made a name for herself as the first American to graduate from the Bolshoi Academy's main training program. Currently a principal dancer with the Kremlin Ballet, Womack has also developed a nutrition bar for dancers, called The Prima Bar. Patricia Zhou won a Gold Medal at the YAGP 2011 European Semi-Finals. She graduated from the Kirov Academy of Ballet and spent a year at the Royal Ballet, be for joining the Berlin Staatsballett where she currently dances. at the YAGP 2011 European Semi-Final. After completing his training, he was invited to join Teatro alla Scala, where he currently performs. Daniele took the Silver Medal at the YAGP 2011 European Semi-Finals, and won a scholarship to the Royal Ballet. 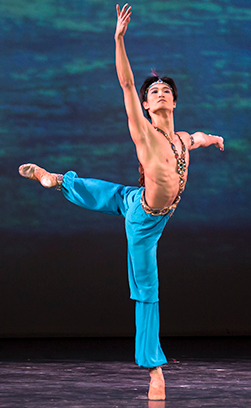 After graduating in 2013, he joined the English National Ballet. Talent seems to run in the family: Daniele's younger brother Lorenzo participated in several YAGP Semi Finals before taking 3rd Place in 2012, and receiving a Scholarship to The Royal Ballet where he currently trains. 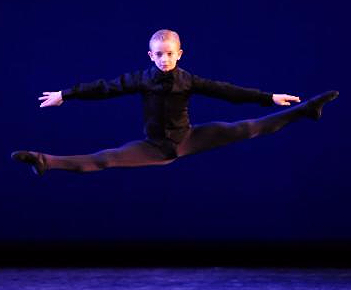 Aran Bell, then 11, received the Hope Award at the 2010 YAGP European Semi-Final, and went on to win 1st place in the Junior division at the 2011 New York Finals. He was featured in the film 'First Position' and has joined the ABT Studio Company in 2014. En cette semaine du 22 juin, voici des nouvelles de nos amis du Youth America Grand Prix. YAGP alumna and New York City Ballet Principal, Sara Mearns danced with New York City Ballet Soloist, Russell Jantzen. 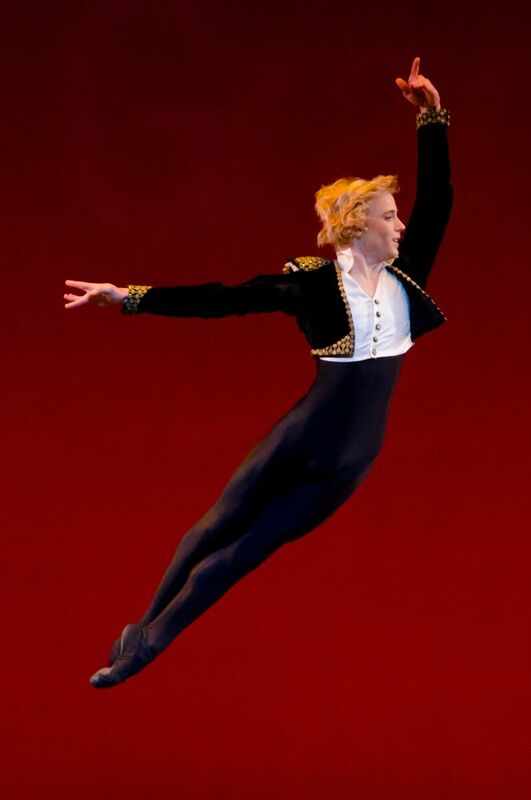 YAGP guest artist and ABT Principal Daniil Simkin, plus Martha Graham Dance Company and Liz Gerring Dance Company also headlined the Opening Night Gala. YAGP guest artist Daniil Simkin's INTENSIO will run July 22-26. YAGP alumni will perform with Simkin, including ABT Principals, Isabella Boylston, Hee Seo, and James Whiteside and ABT Corps members, Calvin Royal III, Blaine Hoven, and Cassandra Trenary. YAGP alumna and Ballet West Principal, Beckanne Sisk and YAGP guest artist and Joffrey Ballet Principal, Fabrice Calmels danced last weekend in a world premiere duet choreographed by Josie Walsh with live music by Sammy Hagar. YAGP alumna and ABT Principal, Hee Seo performed the role of Juliet exquisitely an unprecedented three times in one week, partnered by YAGP alumnus and ABT Principal, Cory Stearns and by YAGP emerging choreographer and guest artist and ABT Principal, Marcelo Gomes. YAGP alumnus and ABT Principal, James Whiteside and YAGP alumnus and ABT Soloist, Joseph Gorak danced the title role of Romeo. YAGP alumnus and ABT corps dancer, Blaine Hoven performed the role of Benvolio at more than half of the week's performances. YAGP alumnus and ABT corps dancer, Calvin Royal III made his premiere as Benvolio. YAGP 2015 Stars of Today Meet the Stars of Tomorrow Gala Co-Host, 2006 YAGP Honoree, and YAGP guest artist Julie Kent took her final bow to an unprecedented standing ovation after her final performance as Juliet in Romeo and Juliet, one of her signature roles, celebrating 30 years with ABT. Julie has danced over 100 ballets with ABT, more than any other ABT Principal Ballerina. Watch YAGP alumna and 2015 Silver Medalist, Rio Anderson's journey to becoming a professional ballerina in Lisa Ling's Discovery Network's Seeker series. YAGP alumnus and Royal Ballet Principal, Matthew Golding dances with YAGP guest artist and Royal Ballet and Mikhailovsky Ballet Principal, Natalia Osipova in The Dream. YAGP first introduced Osipova to New York audiences at the 2008 Stars of Today Meet the Stars of Tomorrow Gala - and the rest is history. 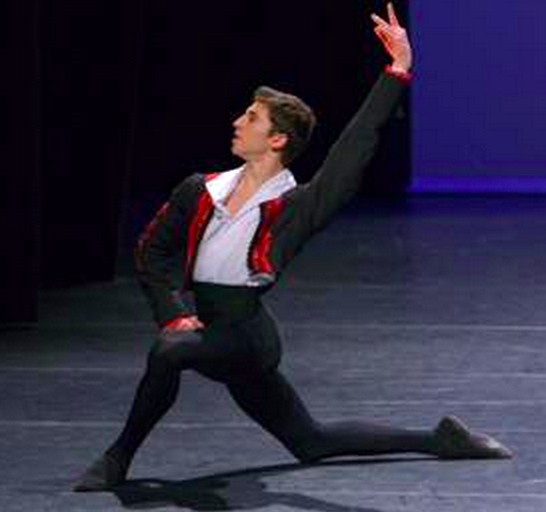 YAGP alumnus and Royal Ballet Soloist, Valentino Zucchetti will dance in Voices of Spring. YAGP alumna and Royal Ballet Soloist, Melissa Hamilton will perform Infra. YAGP guest artist and Royal Ballet Principal, Marienela Nuñez will join Hamilton in Infra, and will go on to dance in Song of the Earth, and Aeternum pas de deux. YAGP guest artist and Royal Ballet Principal, Sarah Lamb will dance the opening night performance of The Dream with Royal Ballet Principal, Steven McRae, followed later by performances in Infra, The Age of Anxiety, and Carousel pas de deux. YAGP guest artist and Royal Ballet Principal, Federico Bonelli will dance in Infra, The Age of Anxiety, and Aeternum pas de deux. YAGP guest artist and Royal Ballet Soloist, Eric Underwood will join others in Infra. YAGP alumnus and ABT Principal, Cory Stearns as Von Rothbart and Prince Siegfried. YAGP alumnus and ABT Principal, James Whiteside as Von Rothbart and Prince Siegfried. YAGP emerging choreographer and guest artist and ABT Principal, Marcelo Gomes as Von Rothbart and Prince Siegfried. YAGP alumna and ABT Principal, Hee Seo as Odette/Odile. YAGP alumna and ABT Principal, Isabella Boylston as Odette/Odile. YAGP guest artist and ABT soloist Misty Copeland - who could forget Misty's performance of Derek Hough's premiere at YAGP's 2014 Gala - debuted as Juliet two times in Romeo and Juliet and will debut as Odette/Odile in Swan Lake this week. YAGP alumnus and ABT corps dancer, Thomas Forster as Von Rothbart. 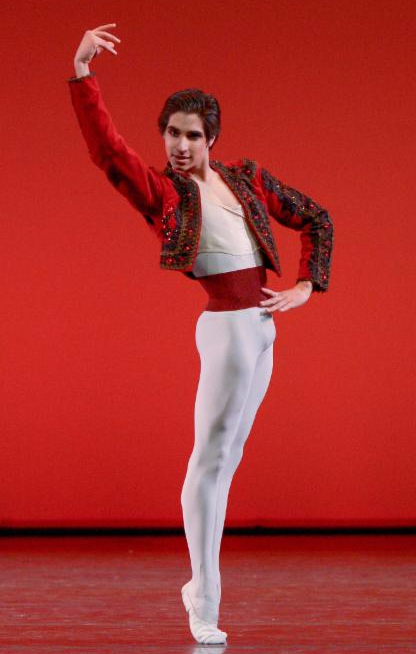 YAGP alumnus and ABT corps dancer, Calvin Royal III as Benno among many others. Des nouvelles des anciens élèves du YAGP, le prochain gala de l'YAGP à Indianapolis et le 3e gala annuel Gala de Danza à Cabo San Lucas au Mexique. Springtime always marks the heart of the New York ballet season, and it has been such a treat to see the direct impact of YAGP on the stages at Lincoln Center. New York audiences have been so lucky to see the amazing talent of more than forty YAGP alumni performing at New York City Ballet and American Ballet Theatre this spring. Yesterday both performances of ABT's Sleeping Beauty were headlined by YAGP alumni Hee Seo and Isabella Boylston dancing as Princess Aurora and Cory Stearns and Joseph Gorak as Prince Désiré. Tonight we will see more YAGP alumni at ABT with Sarah Lane as Princess Aurora, Skylar Brandt as the Diamond Fairy, and Gabe Stone Shayer as Bluebird. Kimin Kim, one of the youngest Principals at the Mariinsky Ballet and a YAGP alumnus, was at ABT last week in La Bayadère. This marked Kim's return after his New York debut this past April at YAGP's 2015 Stars of Today Meet the Stars of Tomorrow Gala. There were a number of notable promotions of alumni this past week. With the close of the New York City Ballet season on Sunday, Lauren Lovette was promoted to Principal dancer and Ashly Issacs was promoted to Soloist. At San Francisco Ballet Kamryn Baldwin and Samantha Bristow were promoted to members of the Corps de Ballet, and Blake Kessler, Grace Choi, and Chisako Oga were promoted to Apprentices. Congratulations to all YAGP alumni on their accomplishments! On May 31, YAGP visited Indiana to present the Stars of Today Meet the Stars of Tomorrow Gala at the Tarkington Theater in Carmel. The night featured choreographic masterpieces of the 20th and 21st centuries with works by William Forsythe, Gerald Arpino, and Moses Pendelton. YAGP participants performed alongside Xiomara Reyes, Gonzalo Garcia, Irina Dvorovenko, and Beckanne Sisk (YAGP alumna). The third annual Gala de Danza in Cabo San Lucas, Mexico, will take place this weekend on June 13 and 14. Created by YAGP California Ambassador Christina Lyon YAGP and Lourdes Tellez, the annual Gala de Danza brings the finest artists and talents to Mexico. The Gala will feature performances by the Mariinsky Ballet, New York City Ballet, and Joffrey Ballet, among others. YAGP provides performance opportunities around the world, and we are proud to have collaborated on the Gala de Danza. We are delighted to share the accomplishments of our alumni with you, and we are honored to thank you for your support of YAGP. If you would like to meet a YAGP alumni, please feel free to contact us at any point at (646) 791-9500. Our alumni will continue to impress next week in ABT's Romeo and Juliet with Hee Seo as Juliet and Cory Stearns, Joseph Gorak, and James Whiteside performing Romeo. We look forward to sharing more updates with you about YAGP and our alumni! Au Collège Jésus-Marie, chacun trouvera une activité qui lui convient. Qu'il s'agisse des sports intrascolaires, de l'harmonie, de la danse, du théâtre ou d'un passe-temps plus ludiques comme Safari Découverte ou Sciences en Folie, la programmation des activités parascolaires déborde de suggestions originales pour les élèves de la 1re à la 6e année. Cliquez sur la photo pour vous rendre sur le site du Collège Jésus-Marie de Sillery. Connaissez-vous le programme Ballet-études du Cégep Garneau de Québec, offert aux passionnés de danse classique. Une opportunité unique de parfaire leur formation en ballet classique (méthode russe Vaganova) tout en suivant une formation collégiale. Le concours international Petipa vu par Media des 2 Rives de Québec. Un article à lire en cliquant sur l'image. Nathalie Gingras est une passionnée qui s'implique généreusement auprès des jeunes de l'École de danse Christiane Bélanger. « Nathalie Gingras ne rate jamais l'occasion de faire une différence autour d'elle », estime Nathalie Déry de l'École. Nous sommes très fier de la voir finaliste au Concours et Gala Femmes de mérite de la YWCA Québec présenté par la Banque Nationale. Ce concours et gala vise à faire connaître au grand public des femmes de passion et d'action qui transforment leur milieu personnel et professionnel. Par son engagement et son leadership, Nathalie Gingras fait progresser la pédopsychiatrie au Québec depuis plus de 15 ans. Félicitations et bonne chance ! Le ballet classique : un sport extrême? L’image de la ballerine, gracieuse sur ses pointes, donne l’impression de la facilité… On ne doit pas s’y tromper; de longues années de travail se cachent derrière chaque mouvement. À voir et à revoir à travers la capsule de La Fabrique culturelle, la seule plateforme Web culturelle multidisciplinaire entièrement consacrée à la diffusion vidéo de la culture vivante au Québec.